Westchester woman Lisa DeRienzo?has long had a? ?passion for working with children, but an abysmal job market prevented her from finding work as a teacher. ?Instead of suffering through a tough economy, DeRienzo decided she could make it on her own and started ASmartNanny.com. You have to do what you love, said the 31-year-old Ossining resident. I went to school for teaching, but I knew I wanted to help kids and that’s what I do. ASmartNanny.com, which is run out of Hawthorne, pairs Westchester families with college-educated sitters, nannies and K-12 tutors who all undergo diligent background checks so their Westchester clients will never have to worry about whether or not their children are in capable hands. DeRienzo came up with the concept for her business while working as a nanny for a local family. ?Friends and family members were constantly asking her to help them find a similar gig. ASmartNanny.com, which was started in 2013, is now a full-time job for DeRienzo and was recently named Best Local Website 2015 by Westchester Magazine. ?DeRienzo’s determination is what makes her venture a success. I try to answer every email as soon as they come in even at all hours of the night, said DeRienzo. My boyfriend has a lot of patience. Giving up isnt an option for me. Everyone has bad days and I just remind myself how far I have come. All of the agencys help undergo background checks, reference checks and extensive interviews. Individuals can also apply for full-time and part-time nanny, tutor and babysitting positions through the website. A SmartNanny also offers Smart Sitter Memberships that help?ensure that your family will never be without a sitter and offers parents the ability to book a sitter online 24-hours in advance. For DeRienzo, the best part about being her own boss is getting to do EVERYTHING herself. Literally, she says. And I am a perfectionist, so I know its done right. 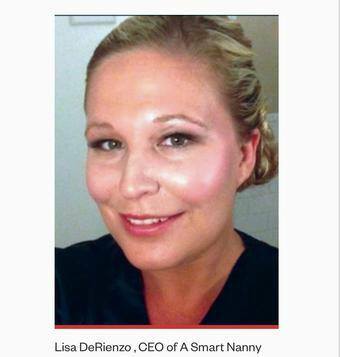 ASmartNanny.com started with about 10 nannies and now has more than 50 employees on hand ready to accept work assignments at any time many of them teachers or nurses. ?About 98 percent of DeRienzos sitters, nannies and tutors are women. Women are changing the world! said DeRienzo. Be a part of it.